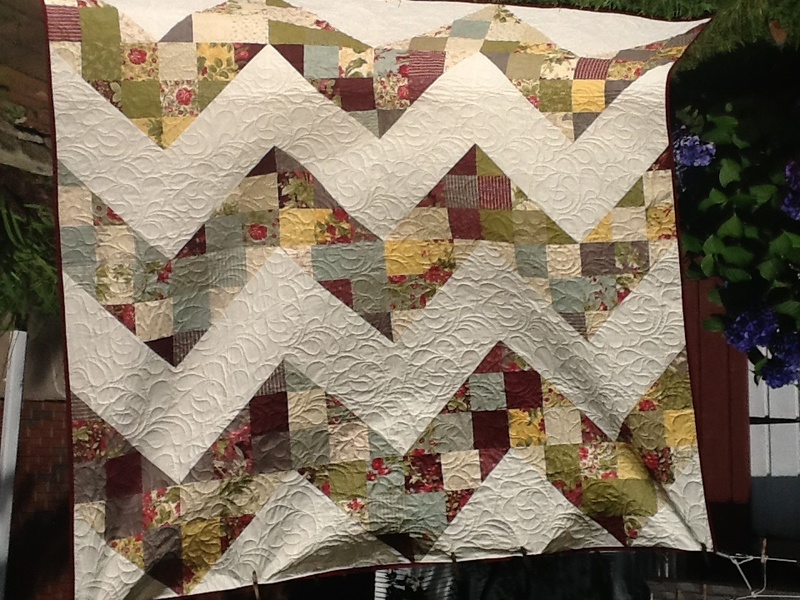 2nd Chevron quilt!! I love this pattern!Beautiful label by sewn sewer! I want to make this one in winter colors, I have all the fabric for it too! Brought the Baby Lock Crescendo sewing machine and didn't realize how big it is so I'm looking for a new sewing table. Does anyone have thoughts on a good airlift sewing table that will fit this machine? All the tables that I keep finding are not long or wide enough for the machine to sit in the airlift dock. Thanks for your help in trying to get my dining room table. 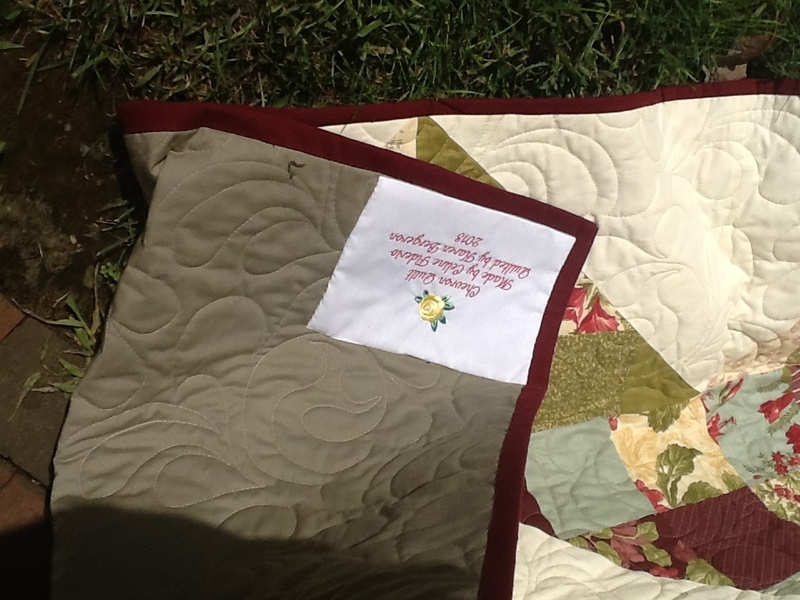 Hi, My quilter is no longer quilting and I need to find someone to quilt my quilts in the Louisville area. Anyone out there who I can contact?